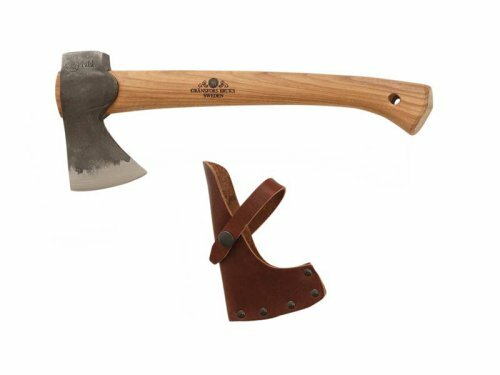 The Gransfors Wildlife Hatchet is a traditional scouting and camping axe, with the same head as the Hand Hatchet but on a longer handle. This longer handle lends the axe more power, not least when felling trees. Practical for carrying in your rucksack when you need a small axe with plenty of power. The axe is capable of lopping off quite large branches or splitting small logs for the campfire. The shape of the sheath, which covers the edge and the top part of the poll, stops the axe head cutting into your rucksack. Comes with English language "Axe-book"
Comes with English language "Axe-book"
If you have any questions about this product by Gransfors Bruks, contact us by completing and submitting the form below. If you are looking for a specif part number, please include it with your message.